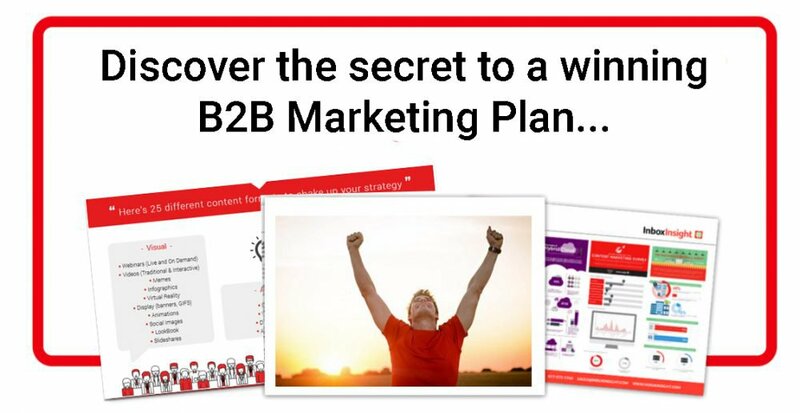 This market research guide is part of our B2B marketing planning series, designed to help B2B marketers tackle each phase of the marketing plan with greater confidence. By breaking each stage into a digestible and actionable online resource, we aim to equip you with best industry practices, techniques and theoretical knowledge for effective planning. This article focuses on how B2B market research is pivotal to the success of your B2B Marketing Plan and wider organizational success. Research conducted by the marketing function is highly valuable because it provides market intelligence specific to your business. With the digital means to capture real-time data and customer insights, CMOs are in the unique position to conduct and collate research that will help C-Suite decision makers make better informed decisions concerned with the profitability, sustainability and longevity of the organization. Many marketers have an instinctive idea of where their company sits in the marketplace, and over time businesses often settle into their niche. But being comfortable doesn’t mean you’re in the right place. With the digital boom creating a level playing field for businesses of all sizes, complacency is a killer. You don’t have to look far to see how nimble new businesses and start-ups such as Uber and Airbnb have disrupted the market, dismantling the success of former power giants. Would the latter have made the same decisions if they had been able to better predict what was about to happen? Equipping your business with the right market intelligence is your only defence in a perpetually shifting and highly competitive landscape. This is one of the many reasons why research is key to your B2B marketing plan. By giving you a bird’s eye of view of your business and the dynamic environment it’s situated in, market research will help you to identify who your key audiences are and how you can mitigate risk to gain competitive advantage. Before you start formulating the direction you think your business should be heading, take a moment to define your marketplace – understanding the context your organization operates in is crucial. It’s important to be aware of all the different factors that influence your business now and in the future. This is especially important if your looking at longer-term decision making. 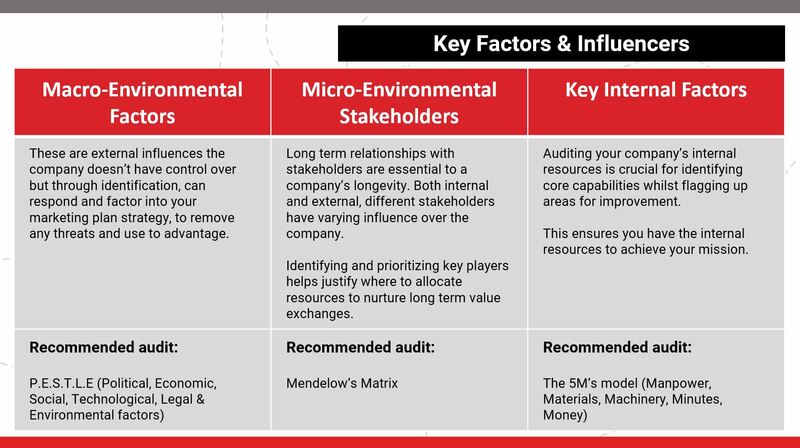 Once again, to ensure you maximize your research findings, it’s best practice to run a SWOT (Strengths, Weaknesses, Opportunities, Threats) analysis to collate all your audit findings. This makes it easier to gain a comprehensive overview from which to base strategic decisions. The sustainability, profitability and longevity of your business relies on the ability to deliver your customers superior value. Traditionally this was relatively simple – less choice, accessibility and transparency made price a key differentiator of perceived value and customer loyalty. In today’s multi-channel digital world, full of choice, information and competition, value is a lot more complex – we as marketers, have to work a lot harder to attract, engage and sustain the attention of our audiences. In response, innovative companies are rethinking the way their business model creates, delivers and captures value (Marketing). This means, in order to stay relevant, you need to keep a close on what these businesses are up to. How are they tailoring their marketing mix to deliver superior value? How are your target audiences responding to these new market entries? This is why competitor analysis is critical. Do a sweep of all your competitors, keeping track of all available services/products, features/benefits, pricing strategies, promotional channels…etc associated with your competitors. The more detail you can capture the better. Then, like you have for your own business, run a SWOT analysis for each of your competitors. Draw on your research findings of them, how they present themselves and any press you can find. If you have contacts or customers in the industry, ask them for their opinion. The more you can understand who you’re up against, the better you can tailor your strategy to achieve greater competitive advantage. As the competitive landscape is perpetually shifting with new challengers emerging with greater speed than ever before, regular competitor analysis is critical. Without demand for your products or services you have no business. That’s why conducting research about your customers, their needs, preferences and perceptions is vital. This is especially crucial if you are considering changing your current market offering or if you are wishing to leverage targeting tactics such as account-based marketing (ABM) in your strategy. Afterall, the success of your marketing campaigns rest on your ability to understand what your audiences want to hear. What are their salient characteristics? What shared characteristics can be used to govern target audience segment criteria (TAL, ABM lists…etc)? 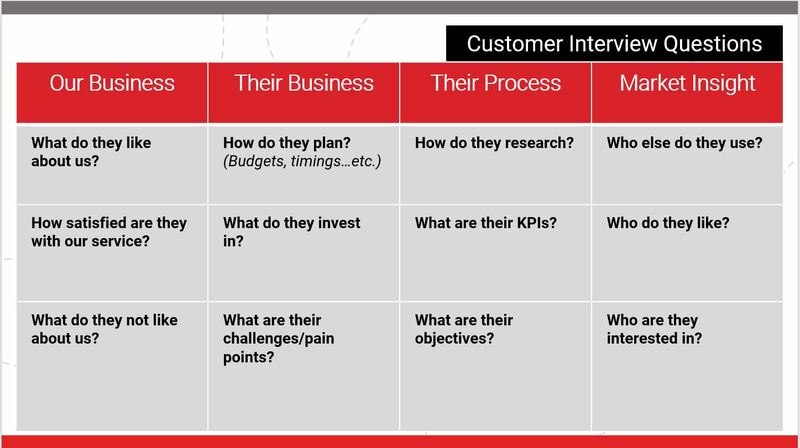 Interrogating your customer database with these types of questions helps you build up a deep knowledge of your most profitable customer segments. This enables you to identify who you should be focusing your attention on and how to set the defining criteria. This is also a great way to kick off your ABM planning if that’s part of your strategic ambitions. Some stages of your marketing plan may require outsourcing the expertise of specialist agencies, publications and industry associations. It’s always worth considering the long-term benefits, of using other credible sources to obtain unique insight, otherwise unattainable. Once you have defined what sort of businesses your target customers are, you can start to work out the Total Addressable Market (TAM) – the overall revenue that is theoretically possible if you had 100% of the market share. Government data, trade groups and research companies can all provide useful secondary data. This will leave you with the Serviceable Available Market (SAM). Take a step back and look at this figure critically. Is it enough to sustain your business long term? What if you only achieved 50% or 10% of the SAM? Is the market going to grow or shrink? A sanity check at this point can help you identify other options and prevent a lot of stress later down the line. Up until now we have been looking at methods for collating quantitative data that can be used to justify decisions around targeting tactics. 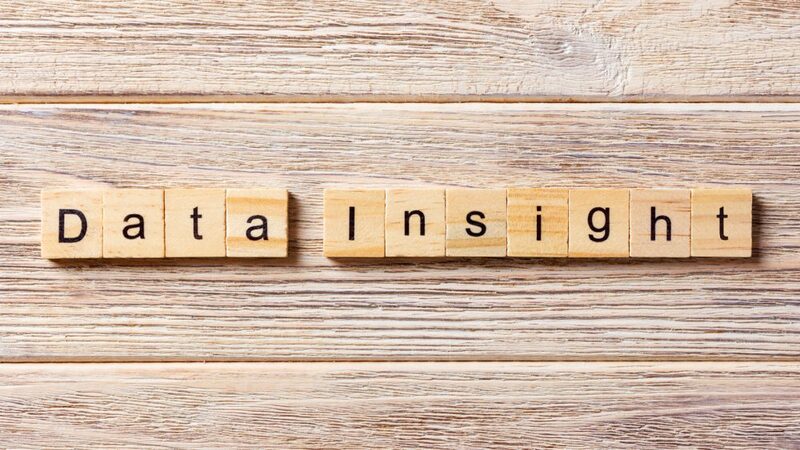 However quantitative data can not be solely relied on for giving you all the customer insight you need to make the best informed marketing decisions. Only 42% marketers say they have conversations with customers as part of their audience research (Content Marketing Institute). This is a fundamental oversight in an age where customer obsessed strategies and emotive engagement tactics are dominating the B2B marketing scene. Therefore qualitative research is highly necessary if you are to understand how your audiences perceive and ‘experience’ value. Uncovering this knowledge will pay dividends when it comes to B2B content marketing by helping you understand how to craft content that will resonate most effectively with your target audiences. The better you can understand your audiences and subsequently what makes them tick, the better chance you have of delivering successful marketing campaigns that drive profitable long-term relationships. 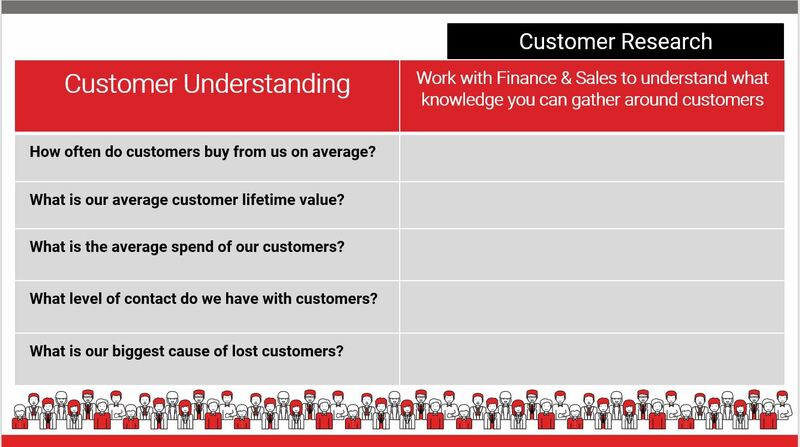 From your customer analysis you will have identified who your most profitable audiences are whilst collating further qualitive data that will help to inform your B2B content marketing strategy. This requires not only knowing who your audiences are but also more granular insight into their preferences, pain points and buying behaviour. Knowing as much about your target audiences will significantly improve your marketing activity by enabling greater personalization and relevancy. 90% of top-performing B2B content marketers put audience’s informational needs first (Content Marketing Institute). In order to acquire the best insights, most B2B marketers must consider the role first, second and third party data play in helping to shape better customer understanding and data-driven targeting techniques. First party data can be captured through your CRM and owned channels such as website behavior and cookie data. As it comes straight from your own audience it is highly valuable, yet it somewhat restricted – especially if you are looking to reach new audiences or wishing to identify where your key audiences go for information when they’re not on your owned channels. By gaining a deep audience knowledge, you are better positioned to know what your target audience want to hear, how they want to hear it – and when. 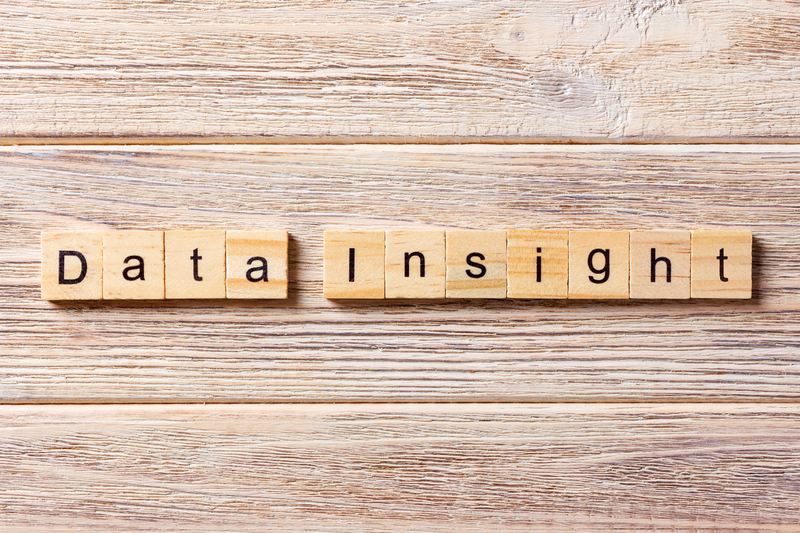 For information on how you can leverage business community insights from audiences that match your targeting criteria, check out our Intent Signals here. Having a deep understanding of your target audiences, competitor landscape and market conditions is crucial for driving better informed business decisions. The more your marketing plan can be based on intelligent insight rather than assumptions, the greater recognition marketing can receive as a strategic role for shaping future success, sustainability and long-term profitability. Three outcomes that if demonstrated, will help CMOs justify greater prominence in the boardroom.